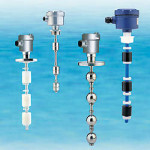 Categories: Level Transmitters, Liquids, Pressure Transducer. 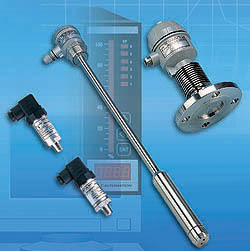 The EC series is a hydrostatic pressure level transmitter for measuring the level of liquids in various tanks and other types of vessels. 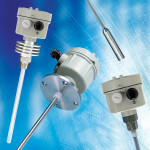 The EC hydrostatic pressure level transmitter consists of a piezoresistive sensor and Wheatstone bridge to directly measure head pressure exerted on the diaphragm of the EC level transmitter. When the pressure is exerted on the diaphragm, as a result of the liquid level, the pressure is transferred to the Wheatstone bridge electrical circuit through silicon oil contained in the EC sensing unit. 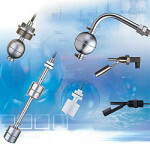 This creates a differential voltage, which is then amplified to create a variable 4-20mA output that varies as a result of the changing liquid level. 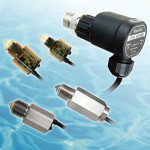 In addition, a pressure transducer is available for measuring pressure in tanks or pipes and producing a variable 4-20mA output.